Welcome! 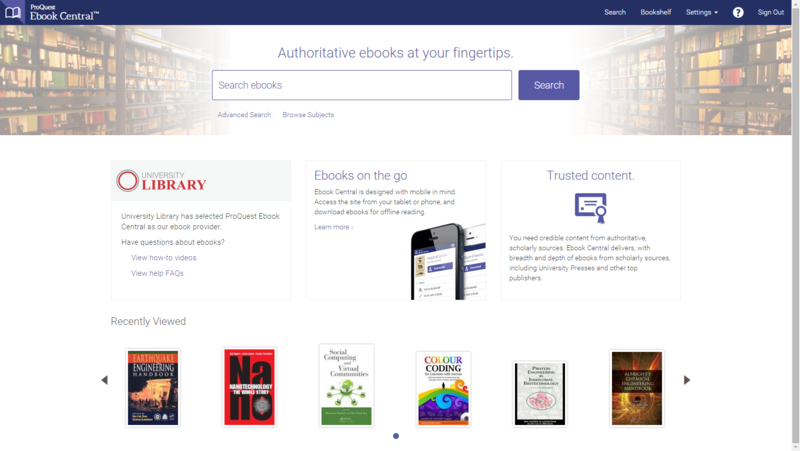 ProQuest Ebook Central is your resource for ebooks providing breadth and depth of authoritative content, courtesy of your institution. The range of subjects available to you will depend on your institution’s subject focus.